Description: Collection of Tablets and prayers of Bahá’u’lláh. 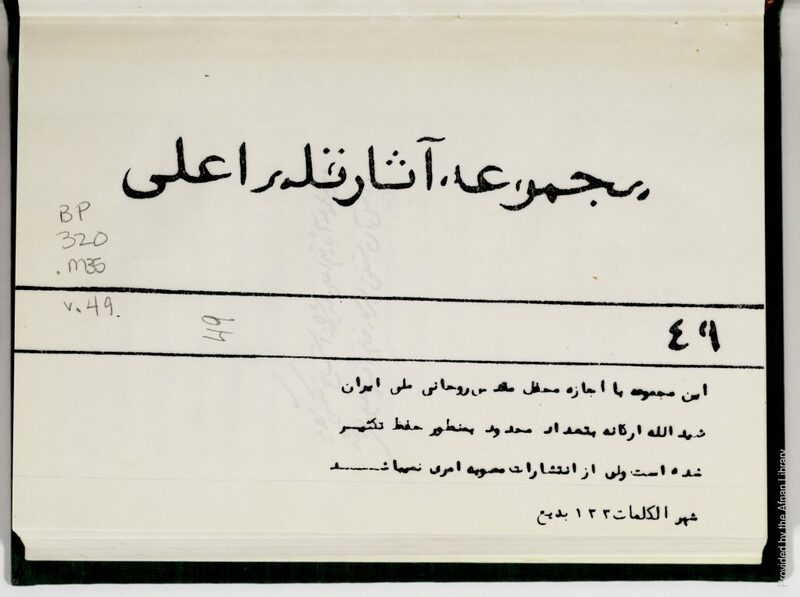 Includes Tablet of Visitation for the House of Bahá’u’lláh in Baghdad (p. 283) and Lawhu’z-Ziyárah (p. 305) and Tablet of Visitation for Hájí Mírzá `Abdu’l-Hamíd (p. 334). Manuscript, 366pp. (368pp. of PDF).